TGIF Team Strykerites! 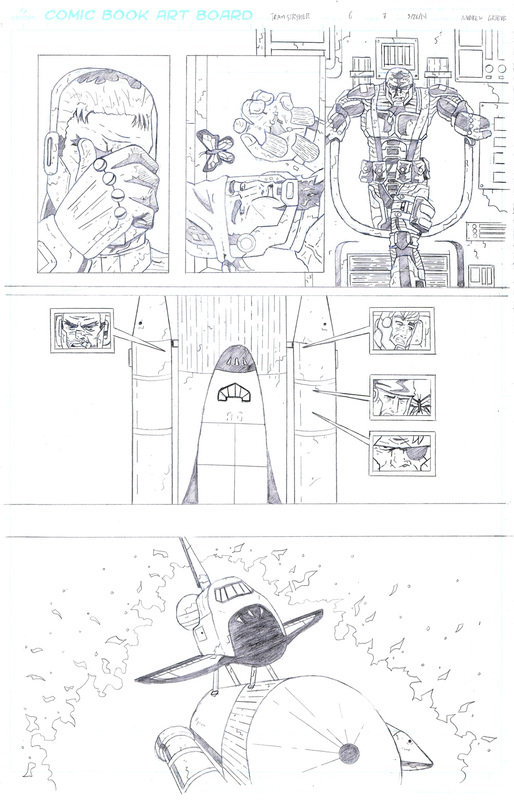 Today’s page was a really difficult challenge due to having to draw a space shuttle from multiple different angles (including inside). Anytime you have to draw a building, or solid object several times it can be difficult to keep it consistent in terms of scale and detail. I had a 3-D model of shuttle that I was using which really helps but I still everything free hand with no tracing so it can be hard to get that shuttle from my computer screen onto my piece of paper. I also tried to find as much reference from real life space launches as well as cartoons to make it look dynamic as possible. Have a great Friday and I’ll see you on Monday for the next out of this world page of Team Stryker!